Spring has normally sprung when the morels are up and temperatures are warm enough to fire up the grill. Grilling adds a little smokiness to the morels and the butter, rather than oil, imparts a richness with both combining to make a tasty side dish. The high heat helps caramelize the morels bringing out the meaty flavor. I recommend using a grilling basket because it is a tragedy to see a morel slip between the bars and fall into the coals. Try serving the mushrooms as part of a Santa Margherita style Italian Grilled Vegetable platter as pictured or as a topping for a steak or burger. Heat up the gas or charcoal grill. For a charcoal grill the coals need to be covered with layer of white ash after the flames have died down. Wash and clean the morels. I normally give them a good wash in a bowl of water to make sure there is no grit on them. If they are very large cut them in half then dry them on a paper towel. Use 2 tbsp of butter of a half pound of morels and 3 tbsp for a pound. Melt the butter and pour over the morels and gently mix to make sure all the morels are covered with butter. Place the morels in a grilling basket and put them over the heat on the grill. 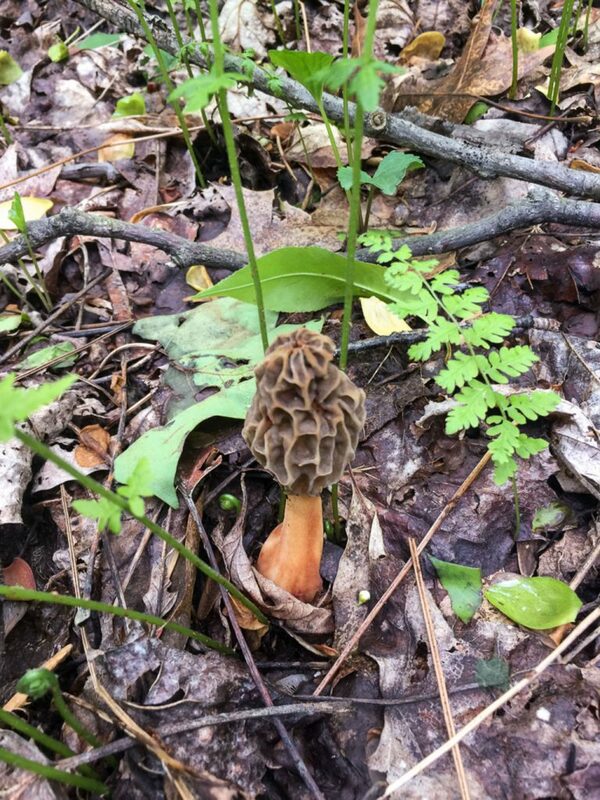 Turn the morels every 5 minutes or so. They should first soften then crisp up and start to turn brown and caramelize. Cook for 15 minutes total. Season with a little salt and pepper and squeeze of lemon if so desired. 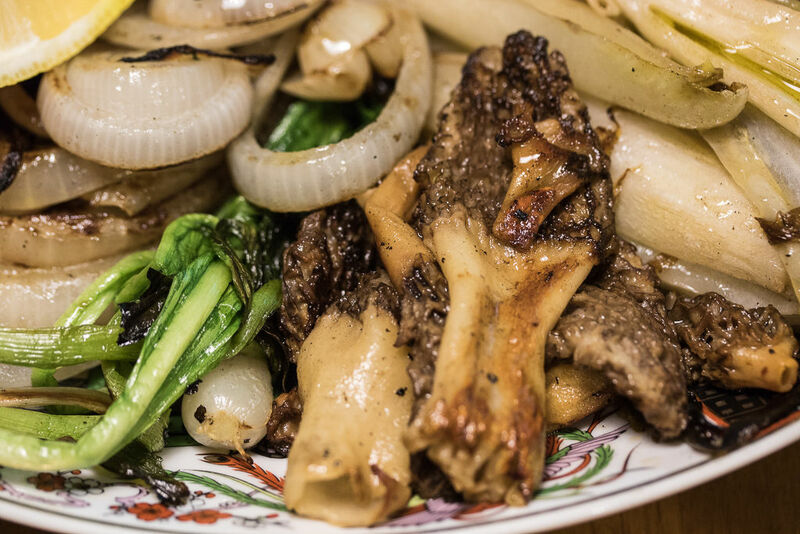 Place the cooked morels on a plate and server with other grilled vegetables or on a steak or burger.